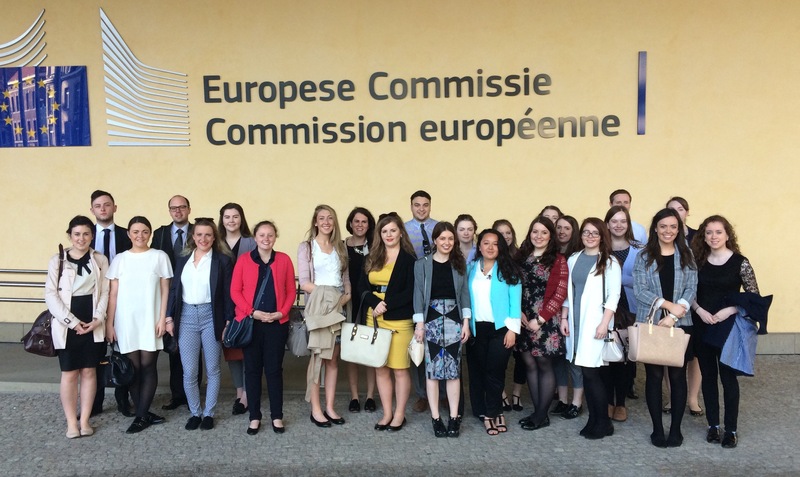 Queen’s University Belfast undergraduates completed a successful study visit to Brussels last week, which gave students from backgrounds including modern languages, politics and law a chance to gain information on opportunities for working in organisations here. The students visited the EU Institutions, lobbying, consultancy and law firms amongst others. They also attended a QUB Alumni networking event on Wednesday, which was held in conjunction with the opening of the Embassy of Ireland’s TradFest programme. QUB were hosted by the Northern Ireland Executive on Thursday where they had a chance to speak to Northern Ireland civil servants in Brussels and hear first hand what it’s like to work in a Permanent Representation. We look forward to seeing many of the group launching their careers in Brussels soon!